Samantha Schier was admitted as a solicitor in NSW in July, 1998. She completed her Bachelor of Science (Biology) and Bachelor of Law (Honours) at the University of Wollongong in 1997. She subsequently completed a Graduate Certificate in Australian Migration Law and Practice at ANU receiving only High Distinctions and a Distinction in her course. Samantha is also a Registered Migration Agent MARN 1277094. Like David Schier, Samantha commenced working in the legal industry in 1996, initially being employed as a Law Clerk, and following her admission as a solicitor in 1998, being employed as a solicitor for in excess of seventeen years. Samantha has joined the firm of D M S Lawyers in November, 2008 as Senior Associate. 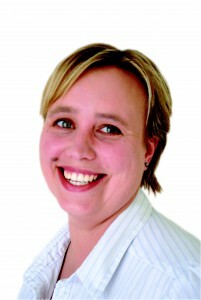 For over seventeen years Samantha has worked in assisting people with their legal problems. Samantha has successfully acted in numerous matters in the District Court and has acted in claims heard in the Supreme Court of NSW, as well as other Courts, Commissions and Tribunals in NSW. Samantha has a continuing affiliation with the University of Wollongong being a part-time lecturer / marker within the University’s Faculty of Law, Arts and Humanities. She also lecturers part-time at the ANU in their Graduate Diploma of Legal Practice course. Samantha is also an active participant in her local community.